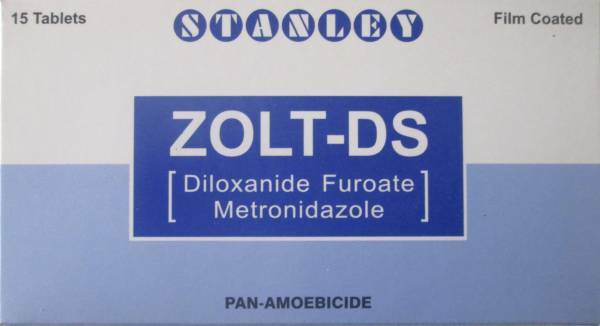 Zolt is produced by Stanley, which contains Diloxanide Furoate + Metronidazole Benzoate. 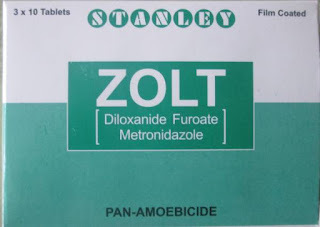 Zolt is best alternative of Entamizole and best medicine for diarrhea abdominal. It is an antibacterial and antiprotozoal agent, which works against ambebiasis, giardiasis and trichnomonas vaginalis. It acts against anaerobic bacteria’s. You can also use metronidazole for dental pain, inflammatory diseases, gingivitis and can also be used for lung and pancreatic cancer. Avoid alcoholic beverages and other drugs likes Alprazolam etc. Precautions: Pregnant women’s and all those patients who are suffering from liver malfunction should consult their physician before taking this medicine.